Hugh Rawson, a regular contributor to the Cambridge Dictionaries Online blog for the first two and a half years of its existence, died unexpectedly on June 1st. He was 76. Hugh’s love of the English language was evident in his posts. All aspects of the language engaged him, and his enthusiasm came through in his writing. He also loved talking about words with others, as can be seen from the responses to readers he posted in the Comments. He loved puns and word play, and was fascinated by the ways words can be used to disguise or expose the truth. Hugh felt that people – especially politicians – are too easily tempted to obfuscate what they mean, and he was amused by linguistic efforts to disguise reality, especially with regard to bodily functions, behind “polite” terms. He understood the power that language can have, and the responsibility we all share to use language wisely, and well. 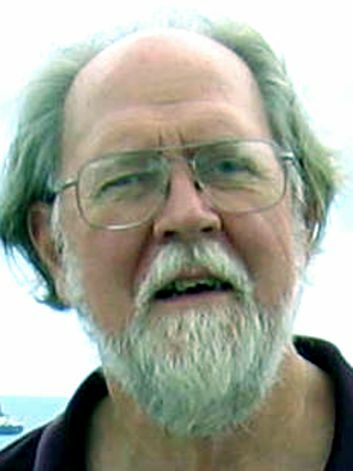 His three books about language – Rawson’s Dictionary of Euphemisms & Other Doubletalk, Wicked Words (which covers personal insults, ethnic slurs, political attacks, and the so-called four-letter words, among others), and Devious Derivations which explores folk etymologies) – are classics in the field. He also wrote Unwritten Laws: The Unofficial Rules of Life as Handed Down by Murphy and other Sages and, with his wife, Margaret Miner, co-authored five dictionaries of quotations: The Oxford Dictionary of American Quotations, The New International Dictionary of Quotations, A Dictionary of Quotations from the Bible, A Dictionary of Quotations from Shakespeare, and the American Heritage Dictionary of Quotations. Earlier in his career, Hugh worked as an editor at various New York publishing houses. I was lucky enough to land a job as his assistant when I started to work in publishing, and learned a great deal from him not just about how to deal with the text on a page (or, later, on a screen) but about how to deal with the people whose work is being published and the colleagues who are also involved in that effort. His warmth, intelligence, and decency touched everyone who came into contact with him and served as an example. It was an honor, all these years after he first took me under his wing, to be able to publish his posts and bring his insights to a new audience. All of us at Cambridge Dictionaries Online who worked with Hugh were touched by his humanity. We will miss him, and we suspect a lot of you will miss him too. He was, to use a term from one of his last posts, a real mensch. Gee whiz. OMG! What can I say? Hugh’s posts were always richly informative, often provocative, and always useful to me in learning about the many roots and branches of the English language. I will miss his wit and wisdom. In the interest of full disclosure, I must explain that I would say exactly the same thing even if Paul Heacock and I had not been friends for years. We both love English well-written and admire a master. Sorry to hear that! Let’s hope that his work on this blog will inspire us all to follow his example.